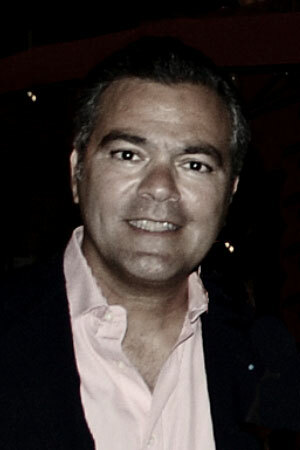 Speaking Topic/Expertise: With nearly three decades of experience in the areas of strategic communications, public affairs and crisis management, Mr.Youssefiani is an award-winning strategist having provided counsel to sovereign governments, multinationals, philanthropists, special interest groups, candidates for national office and global thought leaders. Since 2010 Mr. Youssefiani has put his communications skills towards bringing American technology and know-how in harnessing clean solar energy to emerging and developing markets, particularly in the Middle East. As President & CEO of Caspian Balestra Group he has forged U.S. led consortia to deliver smart solar generation plants in the sun-rich Persian Gulf. Previously, from 2000 – 2010, Marty served as Partner and Executive Vice President of Marsh Copsey International, a strategic, political counseling practice based out of Washington DC with sovereign and corporate clients worldwide. For a window of six years, 1993-1999, Mr. Youssefiani served as Vice President and board member of the Edward J. Rollins International Company. In that capacity, he provided counsel to international clients with ranging needs from communications, public affairs and crisis management. Marty’s professional career started in 1988, as an Account Executive, at Hill and Knowlton Public Affairs Worldwide Co. (then the world’s largest public affairs firm) specializing in press relations and congressional affairs. On the political front, Marty has extensive experience in grassroots campaigning and issue advocacy, resulting from varied civic and political campaign work. He has directed political efforts on behalf of four United States Senate campaigns, worked on winning Presidential and Gubernatorial campaigns and directed groundbreaking strategic communications campaigns in support of thought leaders and high profile international personalities. Residents of The Potomac Village in Maryland, the Youssefianis share their home with “Hunter Montgomery,” an exuberant English Springer Spaniel, the de facto mayor of Sunnyfield Court!